Things are looking up for BMW in the so-called electromobility market, especially if we’re talking about the EU and Germany. The Bavarian brand published a couple of interesting statistics today, showing how the market share is shaping up around the world and they seem to be dominating in certain areas. The electromobility market we’re referring to includes electric, electric with and without a range extender, PHEV Diesel and PHEV Petrol models. In Germany, BMW is leading, ahead of even Volkswagen. 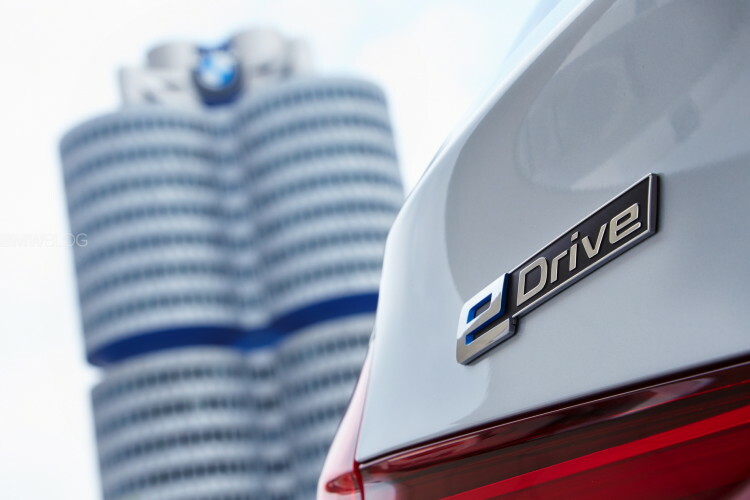 According to the Munich-based manufacturer, over the course of 2018, BMW sold 19% of all cars in the electromobility market, while Volkswagen accounted for 17%. Third place went to smart while Kia came in fourth. Surprising stats at a first glance, especially since BMW is definitely selling the most expensive cars in this short list. Smart is doing great thanks to its electrified fortwo model. 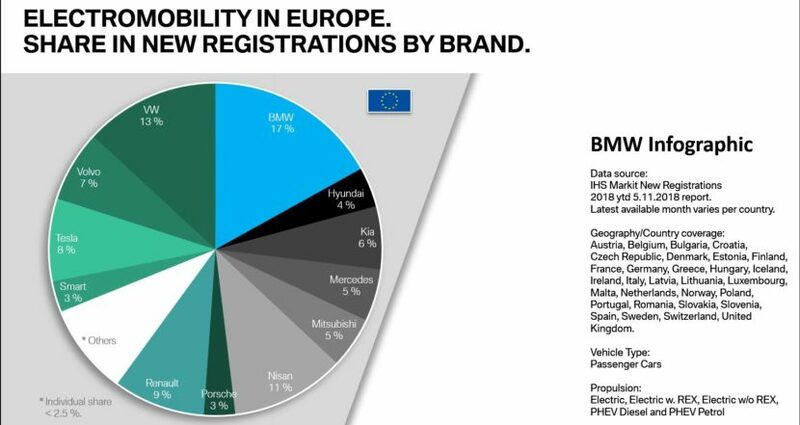 On a European scale, BMW is once again claiming the top spot with 17 percent of the market. Volkswagen comes in second, once again, with 13% while on third place we find the Nissan brand, thanks to its Leaf model. Once again, the fact that BMW is atop this ranking is surprising, considering the average price an electrified model from the Bavarian manufacturer carries by comparison to the other brands. Renault comes in fourth here with 9 percent, thanks to its Zoe models. Things get even more interesting if we look at the global sales. Tesla is leading alongside a surprise appearance at first, BYD. The Chinese company is doing great thanks to its local market, the Chinese population being heavily incentivized lately to adopt electric vehicles on a wider scale. BMW comes in third though and that’s a great performance, with 8% of the worldwide electromobility market. A more in-depth look at how the markets shape up shows that in the case of BMW, sales of electrified models account for a lot more than in the case of other car makers and other markets. For example, 4.9 percent of all cars BMW sold worldwide are electrified while the average for all other manufacturers stands at about 1.7 percent. In the US, 6.6 percent of BMW sales are electrified cars while the market average is just 1.5 percent. In the UK and Ireland things are even further apart, 7.5 percent of BMW sales being electrified cars while the market average is 2.2 percent.